ROOKIE professional Billy Castle hopes that banking his first paycheck will “kickstart” his season. The 25-year-old pocketed £6,000 for reaching the last-16 of the European Masters in Belgium. Sponsored for this event by Attic Life, Castle beat six-time World Championship finalist Jimmy White 4-3 in the qualifying round in Preston. Waiting for him at the Park de Soeverein, Lommel, was world number 17 Martin Gould. Castle didn’t register a single point in the first two frames against Gould but fought back and wrapped up an excellent 4-3 victory with a 69 break in the decider. He followed that with a run of 68 in another seventh-fame decider against India’s Aditya Mehta. But, despite leading 2-0, he lost his last-16 match 4-3 to China’s Cao Yupeng (known in the UK as Eric). It was a result that cost Castle £5,000. “I didn’t really think about (the money) during the match,” he said. Castle insisted he wasn’t fazed by the big crowd or the TV cameras and revealed he has been offered a practice match against a former world champion. “I actually found it easier playing at the venue than in the qualifiers,” he explained. “I felt more relaxed. You have to block it all out and go out and play your own game and don’t worry about what’s around you. “It did make it feel more real going out to play on the two-table set-up in the last-16. “Hopefully, it can kickstart my season. 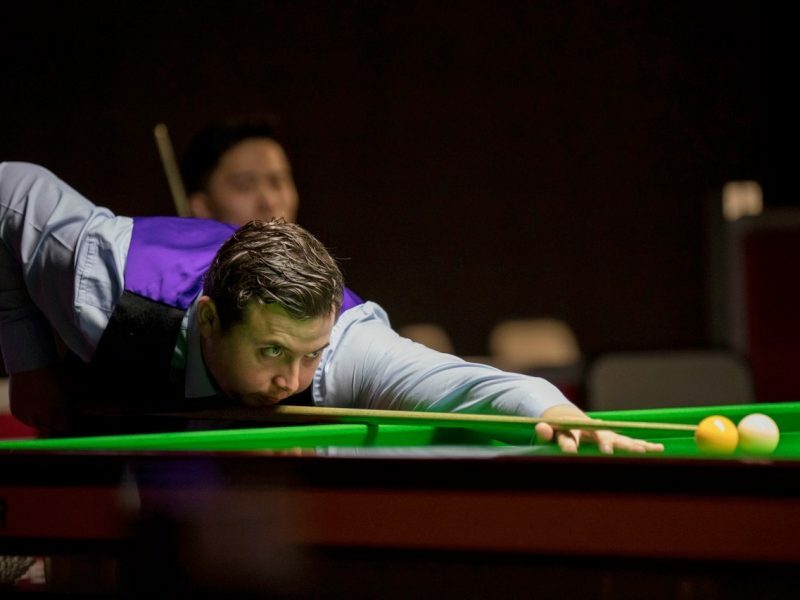 Castle, who has made first-round exits in his six other professional tournaments, earned a free entry to Q School after winning last season’s Cuestars South of England Championship Tour.